Cyberbullying: Is A Minor's Speech Protected By The 1st Amendment? "i hatehatehatehatehatehatehate you. Next time my name rolls off your tongue, choke on it.. and DIE"
That’s just one of the messages that 15 year old cyberbullying victim Grace McComas received from an anonymous sender, via the social networking site Twitter, on August 31, 2011. Using social networking websites to connect and communicate with friends are ubiquitous among teenagers and adults alike. Whether the communication medium is Twitter, Facebook, Google+, or Tumblr, it’s easy to sign up for these platforms anonymously, in order to disguise the user’s real identity. When someone hides behind a phony web persona, they can use their keyboard like a trained marksman, and attack any individual with denigrating and baseless rhetoric. The messages can be defamatory and slanderous, or contain a physical threat, and the aggressor assaults the victim while knowing that he or she has done so with absolute impunity. On April 8, 2012, which was Easter Sunday - Glenelg High School sophomore Grace McComas, tragically ended her young and promising life. 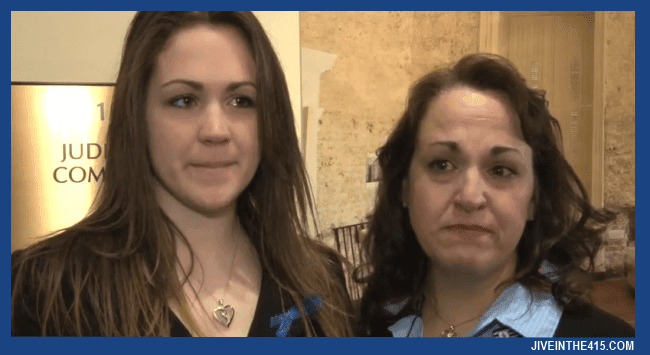 On Thursday Grace’s mother, Christine McComas, testified before the Maryland House of Delegates Judiciary Committee, urging passage of cyberbullying legislation that state lawmakers are considering. The penalties include a provision that would allow perpetrators to be sentenced to jail, if they are found guilty of online harassment of a minor. The family of a Howard County girl who killed herself after months of harassment on social media sites asked Maryland lawmakers Thursday to pass a bill that would allow a jail term for a variety of acts known as "cyber-bullying. " Chris McComas, whose daughter Grace, 15, took her own life on Easter Sunday 2012, told the House Judiciary Committee that the Glenelg High School student had for months been the target of malicious postings on sites such as Twitter and Facebook. The mother said the family turned to police and the courts but was told nothing could be done. In an article written last year by Tim Ebner of Capital News Service about cyberbullying, he described the heartbreaking obstacles and frustrations that Grace’s parents had to endure, in order to combat the attacks that their daughter was subjected to. Many of the attacks used offensive language and threatened her daughter's life, she said. After their daughter’s death, the McComas family launched an online campaign to help parents, teachers and students deal with this new form of bullying. Cyberbullying is a difficult problem to tackle. If an adult is charged with cyberbullying, you know that their attorney will point at the Constitution, and their inherent right to free speech. If a minor is charged with cyberbullying, can they cite the same Constitutional protections? I don’t believe that they have the same free speech protections that adults enjoy, though I doubt that how I feel about this, comports with our current law. When legislators and education officials consider how they might approach this contentious issue, the free speech rights of minors must be central to the debate. We have laws that regulate a minor’s access to driving, alcohol, and voting, and we don’t allow consideration of the death penalty in capital murder cases. We have these legal precedents already in place - so in my view, this is a no brainer. If minors have the right to “free speech”, it’s a moral imperative to regulate that speech. We can deter cyberbullying with the right legal framework, and I think that placing limits on minor's "speech" is a great place to start.